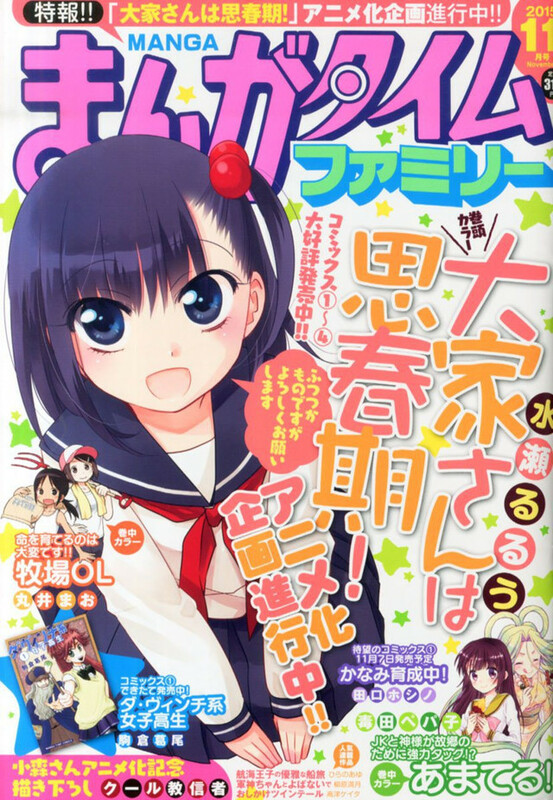 Ōya-san wa Shishunki!, a 4-panel comedy manga by Rurū Minase about an adolescent girl landlady, is receiving an anime adaptation soon. The story of the series involves a young salaryman who rents a tiny, 6-tatami apartment, only to discover that his landlady is a middle school aged girl. Ōya-san wa Shishunki! 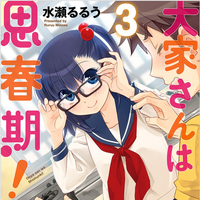 is written and illustrated by Rurū Minase. 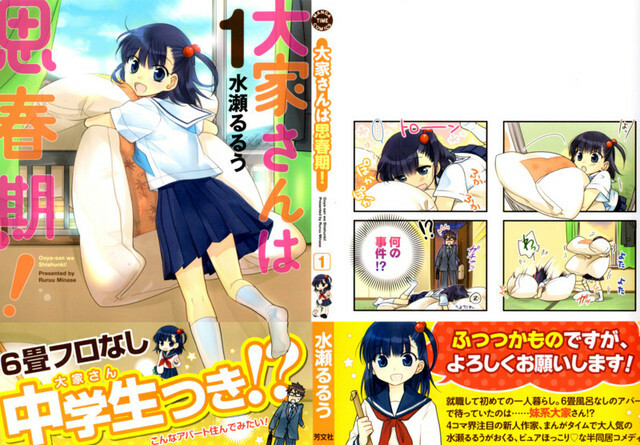 The series is published in Houbunsha's Manga Time Family manga magazine. Their are currently 4 volumes of the manga collected and released in Japan.